Not to brag or anything, but summer has been pretty amazing here. I mean how can it be bad when you get to start your week with homemade donuts??? The only thing that wasn't so great is realizing how messy cinnamon and sugar can be with a dozen kids but that was easily vacuumed (and swept and washed off). The heat kept us indoors in the afternoons, but the kids got plenty of outside time in the mornings. 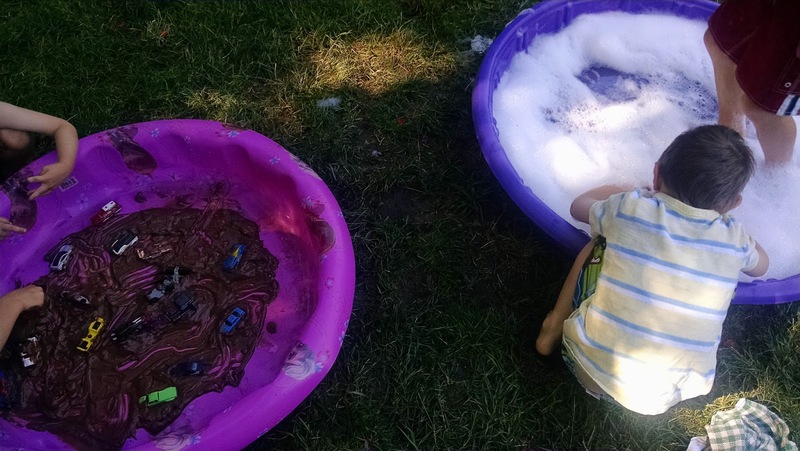 There was LOTS of bug and butterfly catching, little pools, popsicles, frozen berries to help with hydration, and even some playing in the mud! We broke out the bug catching kit last weekend and the kids played with it all week. They caught fireflies, butterflies, and other bugs (I really have no idea what they were). The one thing I had to tell the kids not to do was catch each other with the net and no putting it over heads.....I'm not shocked I had to say either of these things multiple times. The cute project for the week: foot print flip flops. They turned out adorable and were easy to make: have the kids make a foot print on white paper (we used neon orange paint, but any color of paint would do). 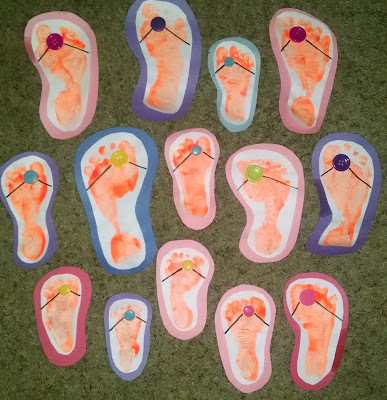 Once the paint is dry, cut it out, glue it onto construction paper, glue a small button on the foot print (between the big toe and second toe), and use a Sharpie to draw on the flip flop straps. 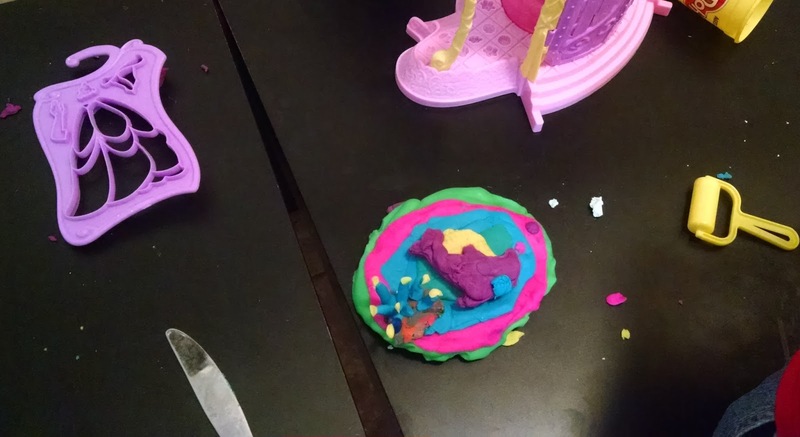 We broke out the Play Doh bin one afternoon. The kids created a birthday party for Silvia complete with homemade decorations and "a birthday cake." The best part of this: her birthday isn't until August! So many popsicles have been consumed in the last couple of weeks! It is the perfect afternoon treat on hot days. We did the hatching grow eggs last week. Elizabeth's finally made its way out of it's shell and out came a creepy looking flamingo. The kids thought it was great despite it's creepiness. We had a Zoo Day in the backyard! We broke out the Little People Zoo for afternoon play and the morning was spent "at the zoo" in the backyard. A kiddie pool served as the aquarium for our zoo. The rhinos, hippos, and elephants rolled in the mud (that the kids personally stomped out with the feet). The kids took turns giving tours of the zoo. The kids got to swim with whales and sharks! Lion Masks on Zoo Day. 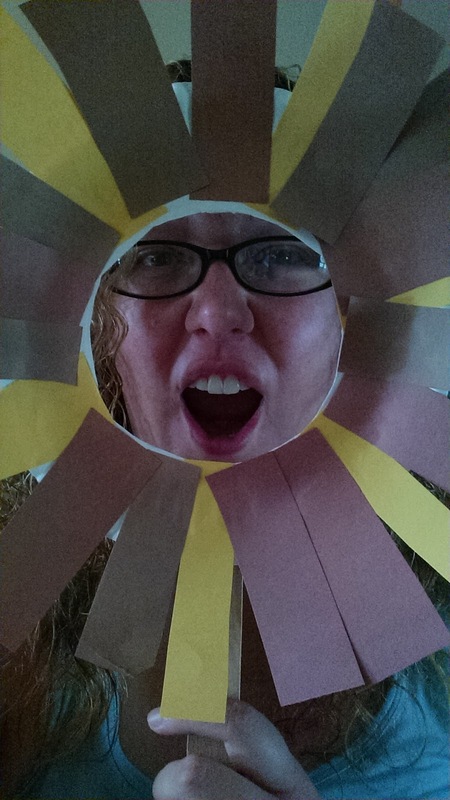 So simple to make (white paper plate with the middle cut out, brown and yellow construction paper cut into strips, glue strips onto the paper plate, add a wide popsicle stick to hold the mask). 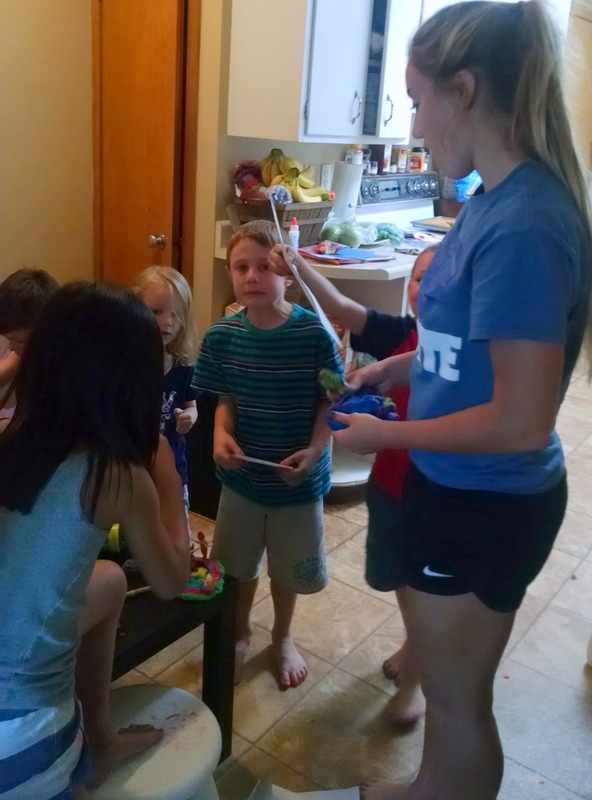 The kids liked playing lions with the masks, but they used so much glue they had to wait until the next day to play lions so the masks could fully dry! My kids have been obsessed with these books, therefore all of the daycare kids have been obsessed with them too. Half of the daycare kids think they're coming with us on vacation and the other half think daycare is going "to the mountains on Friday." I had to giggle...and no matter how many times I tell them neither is true, they still don't believe me! 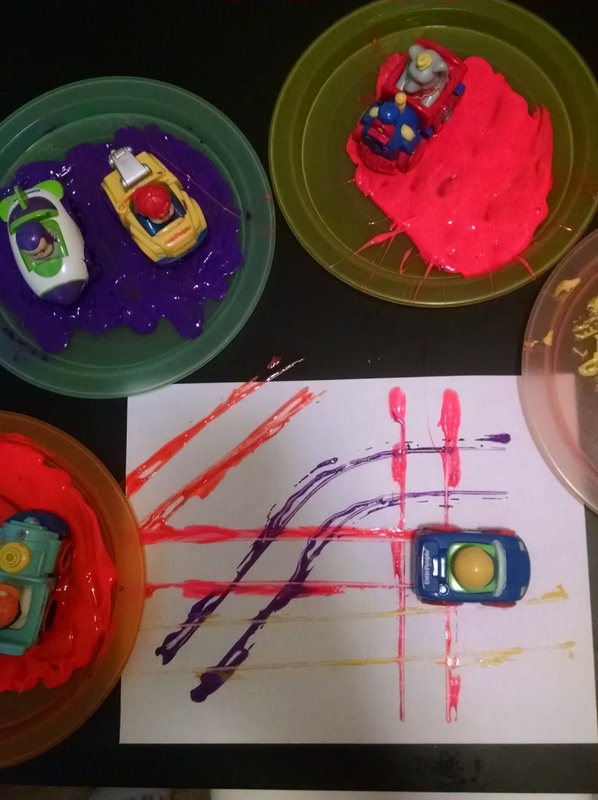 The kids played Dirty Cars with Hot Wheels. This activity is a hit or a miss but on this day it was a huge hit! The kids loved playing in the "dirt" (actually chocolate pudding), washing themselves and the cars off in the bubble pool, and even created some car games with the Hot Wheels. 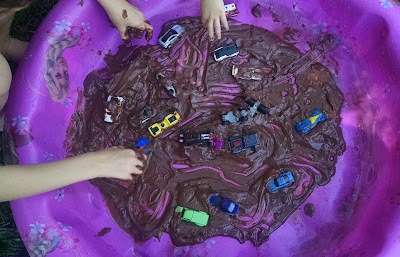 I love when I get an activity started for the kids, but they take it in a new direction all on their own. It's so much fun to spark children's imagination and creativity. 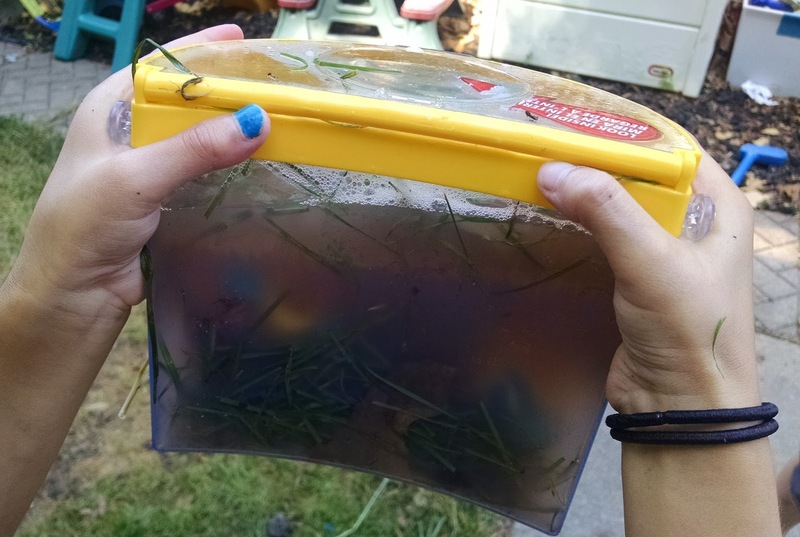 Two of the kids created their own aquarium using the bug house, dirty kiddie pool water, grass, and Little People Flounder's. They then put it on display and charged the other kids a penny to view it. We did some Wheelie painting in the afternoon. 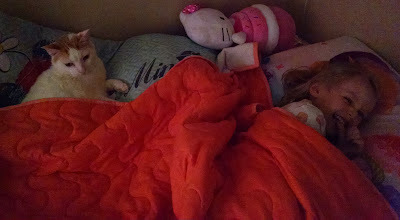 The cat has been quite attached to the youngest mini's bed and insists on sleeping with the oldest mini every night. I have to laugh because at one point the cats were scared of the kids. The kids did a pretty awesome kiddie pool obstacle course (read more here). At the beginning of the week, a few of the kids spied me throwing dirty towels down our laundry shoot and instantly inquired about it. 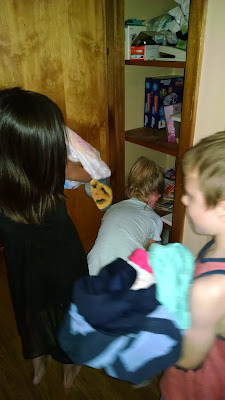 All week long, the kids fought with each other about who got to throw the dirty laundry/towels down after outside time. If only I could teach them how to do my laundry too....but that's not quite as exciting as "seeing the basement through the hole!" Things have been going pretty smoothly so far this summer. I'm anxious for the temps to cool down a bit in the afternoon so the big kids can play in the backyard while the younger kids nap. 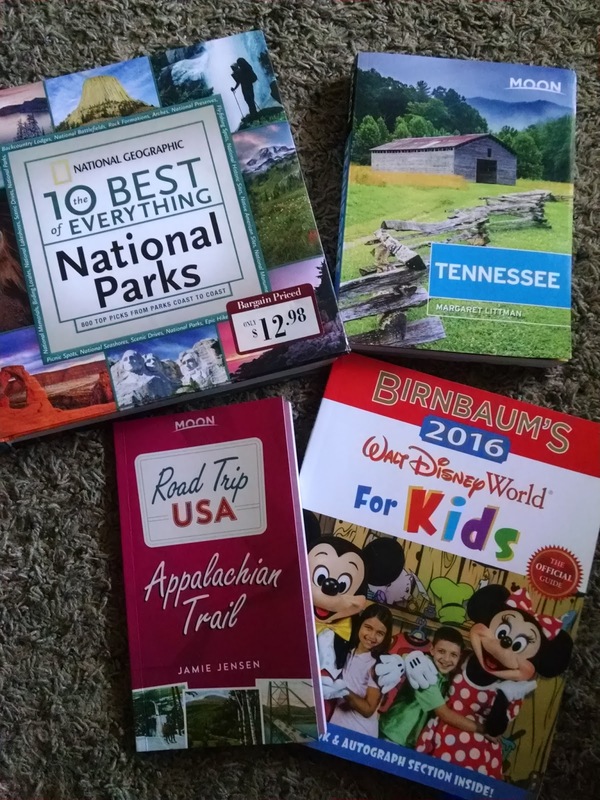 I'm looking forward to squeezing in a Field Day and a couple of other fun theme days before our big summer vacation trip takes place (that daycare will not be a part of! ).